If you already have a DNN website, there's a good chance that it could be so much better in terms of design, usability, and functionality. Creating DNN skins and themes that are responsive are our forté. 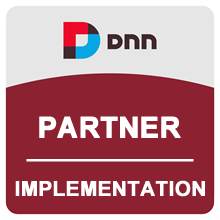 The DNN websites we build are used by thousands of people around the world. Wolf X Machina provides a white-label service that not only fills the gap in your web team, but also elevates the finished product so you can focus on easily managing your DNN website. Every custom page skin and module theme is built to work on all screen sizes using Bootstrap 4 and modern front-end development techniques. When performing the PSD to DNN service, we aim for pixel perfect but also improve upon the design using our experience in UI design. When your website needs special functionality that doesn't come out of the box, our team is ready to create custom modules. We build modules that are powerful, simple to use, and tailored to your needs. Our modules and integrations are used by thousands of people around the world. With Wolf X Machina, you can take your DNN website to a new high. Don't have a DNN website?